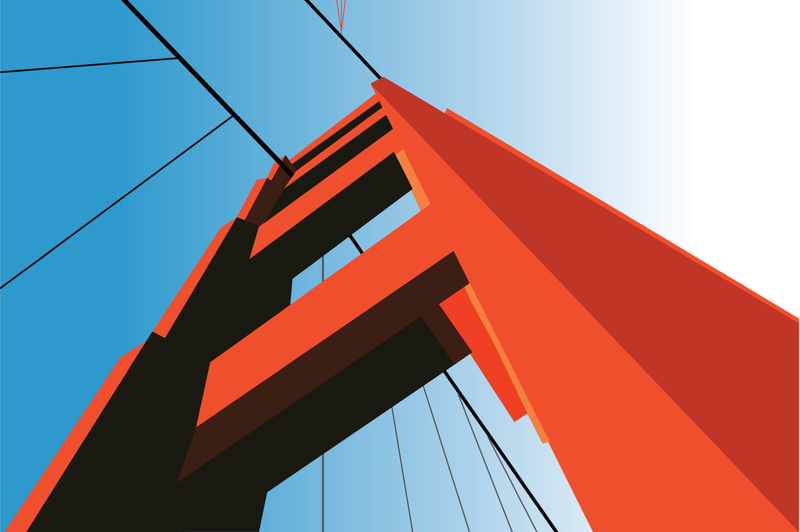 Wallpaper created using Illustrator and inspired by the iconic Golden Gate Bridge, of my native San Francisco. I used a view from the ground to show the bridge from a perspective that isn't as popular as other views. This view gives the viewer a better understanding of the scale of the bridge and is a nice symbol of the behemoth that is the Golden Gate Bridge.